The toll of conflict-related civilian casualties in Donbas is rising. 130 civilian casualties were registered between November 16, 2016 and February 15, 2017. 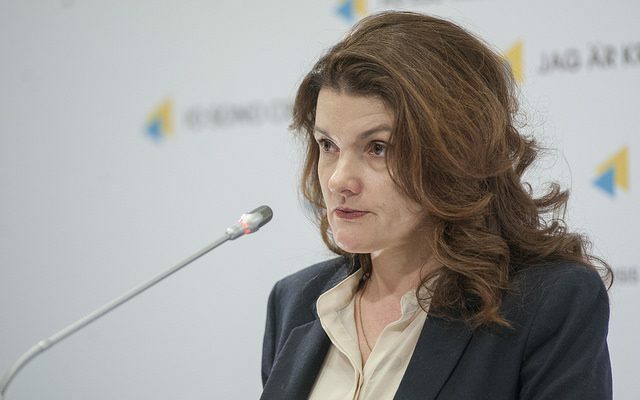 23 persons were killed and 107 were wounded, reported Fiona Frazer, Head of the UN Human Rights Monitoring Mission in Ukraine, presenting another issue of the report at Ukraine Crisis Media Center. The area controlled by the armed groups is becoming more isolated, restrictions to movement are only further encouraging the phenomenon. “Disproportional restrictions of freedom of movement across the contact line deepen the divide between the communities and may hamper efforts to establish lasting peace in Ukraine,” Frazer said. At least 160,000 retired persons residing in the area controlled by the armed groups have not been getting their pension benefits since November 2014. “We recommend the government to de-link access to pensions from IDP-registration,” the head of the UN Human Rights Mission added. Detention cases continue on both sides of the contact line. However, if Ukraine is granting access to prisons and pre-trial detention facilities in the government-controlled area, the so-called “LPR” and “DPR” have not granted such access to the Mission. “The self-proclaimed ‘Donetsk People’s Republic’ and the self-proclaimed ‘Luhansk People’s Republic’ continue to detain an unknown number of people raising worries that they may be subject to torture and ill-treatment as well as sexual violence,” Fiona Frazer said. The Mission representative added that of particular worry is the fact that the mission was not let talk to the detainees in private. The report cites serious human rights violations in Crimea, in particular of the detained persons. “The authorities in Crimea extract confessions from detained persons through torture and ill-treatment. They continue transferring detainees to the Russian Federation where we have documented cases of denial of medical care and the death of at least one detainee. The new pattern we observed is the interference in the professional activities of defense lawyers in prominent human rights cases,” Frazer said.